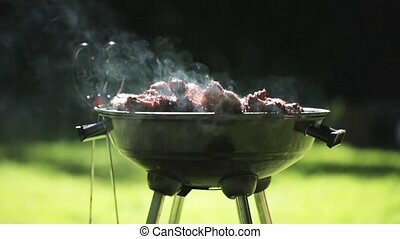 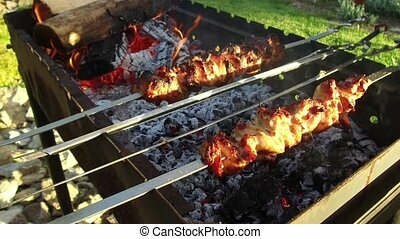 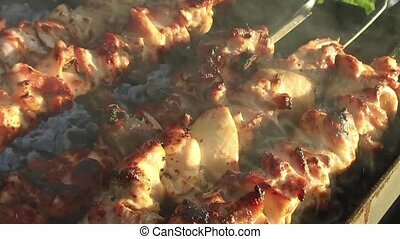 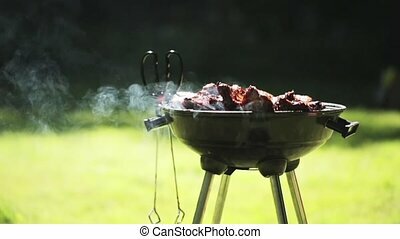 Barbecue meat on grill or brazier outdoors. 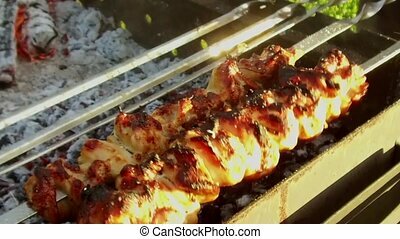 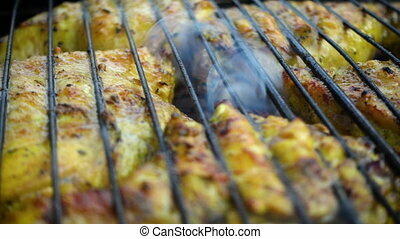 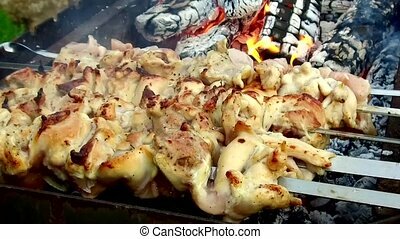 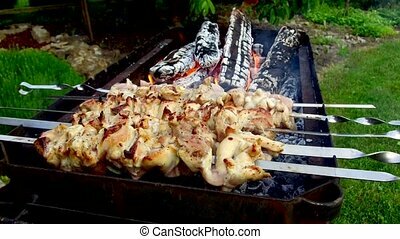 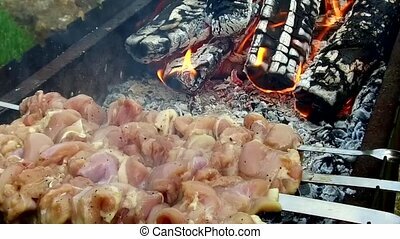 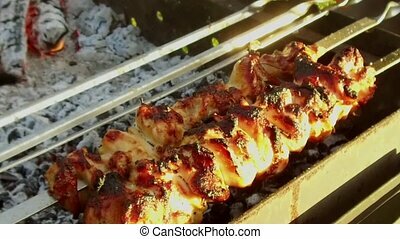 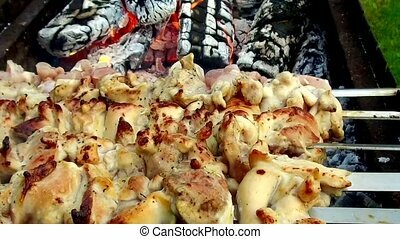 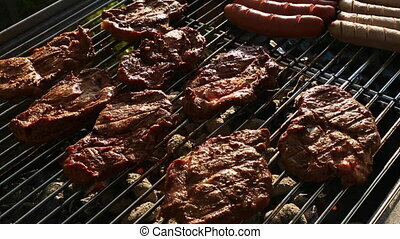 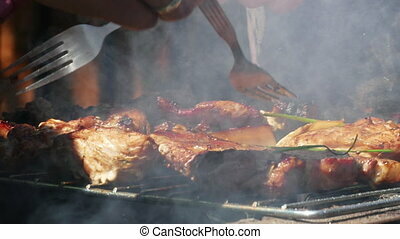 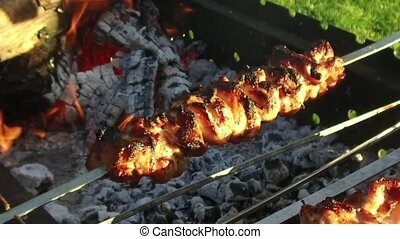 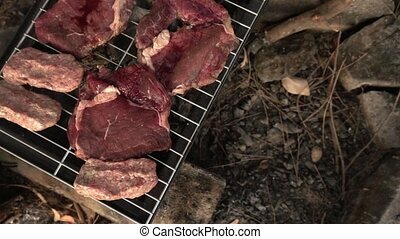 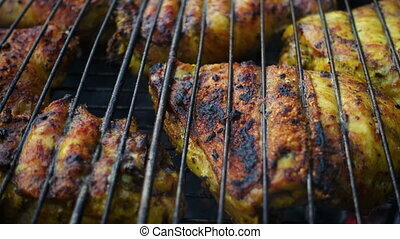 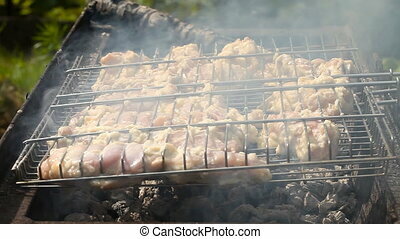 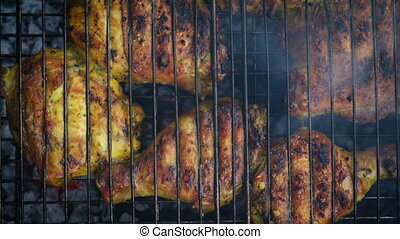 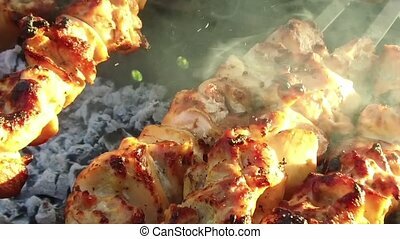 Cooking, culinary and food concept - barbecue meat roasting on grill or brazier outdoors. 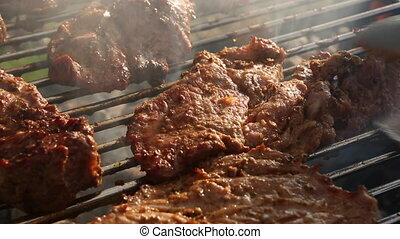 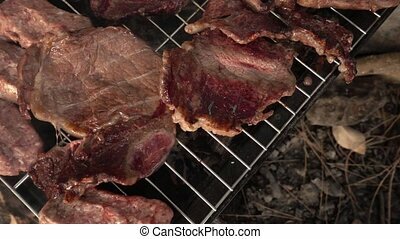 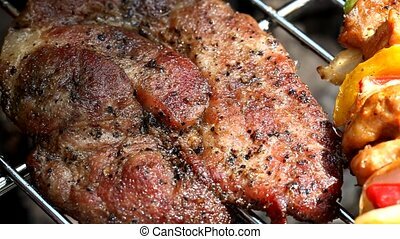 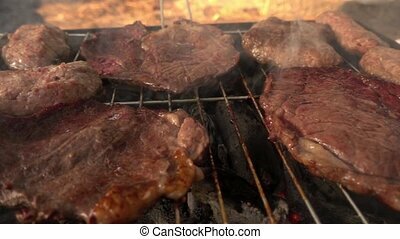 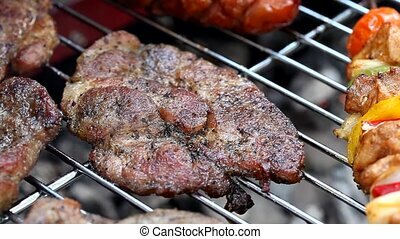 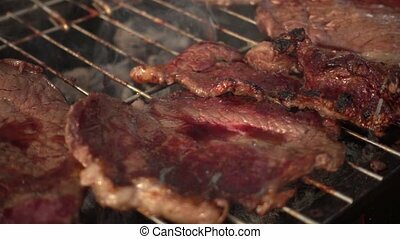 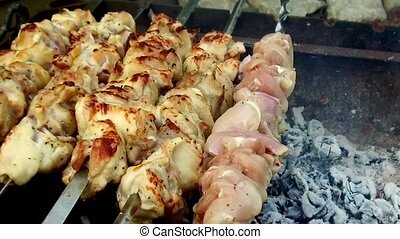 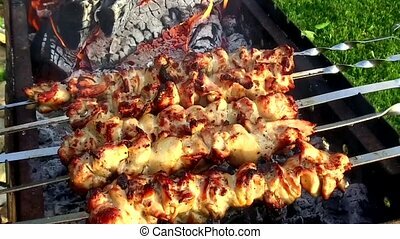 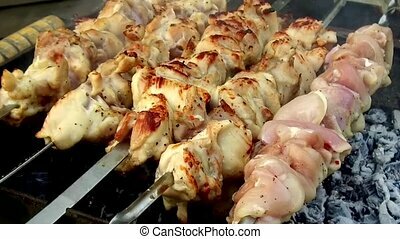 Meat on the grill or barbecue.